GET INTO JAIL FREE. Propaganda leaflet requesting soldiers from enemy forces to surrender (Chieu Hoi). Vietnamese politics were a mystery! 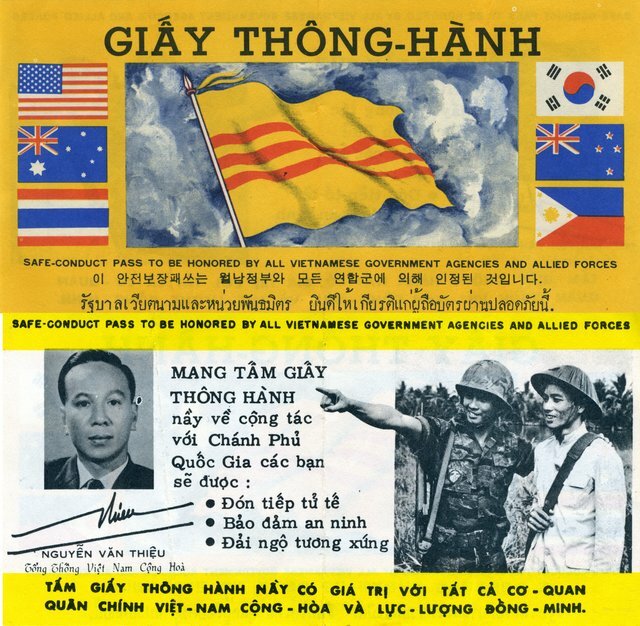 We had no idea what would be the fate of someone using this leaflet after we turned them over to some Vietnamese authority.